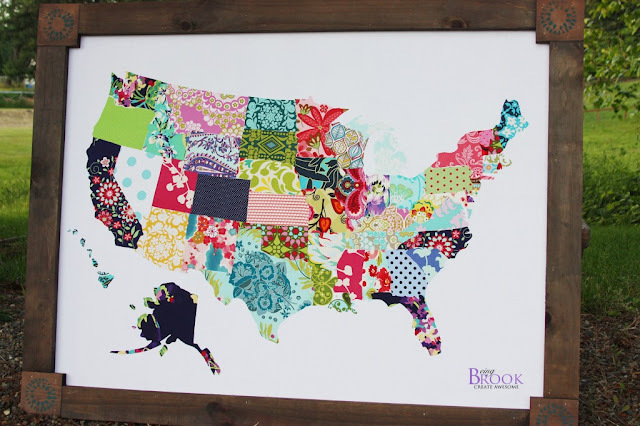 Remember that fabric map I made a few months ago? It ended up in my tween nieces bedroom! 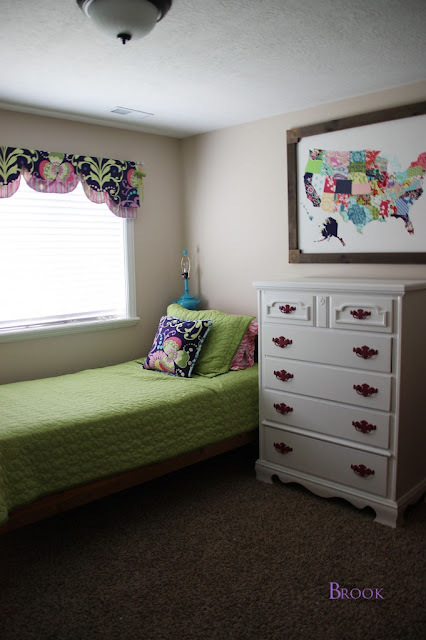 It was fun to help my niece with her bedroom because she liked participating! Way different than my boys who are usually indifferent about decorating! She already had a nice dresser but the fronts had come off a few of the drawers. It was an easy fix with some wood glue and a nail gun. 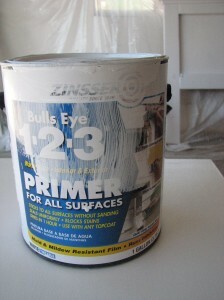 The dresser was primed with Zinsser 123 primer followed with Valspar enamel in soft gloss. 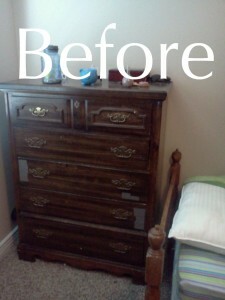 I painted the whole dresser with a 4 inch foam roller and a paintbrush. 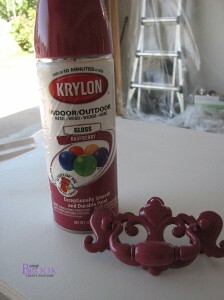 The drawer pulls all got a few coats of Krylon Raspberry spray paint in gloss finish. 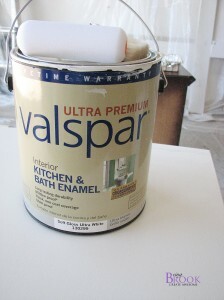 The dresser is the same paint that was used in the boys bedroom and girls bedroom. 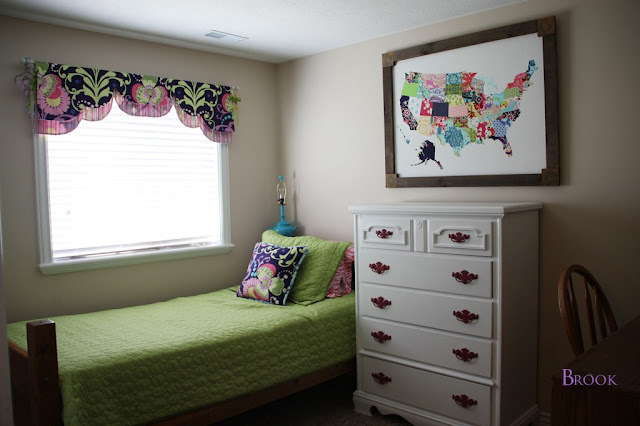 My Mom made the cute curtain valance and I made the pillow all out of Amy Butler Love in Midnight Paradise. The same fabric we used in her sister's bedroom. I think her room turned out cute and was really inexpensive since we used the same paint for all the kids dressers and just bought the pink spray paint for her room.